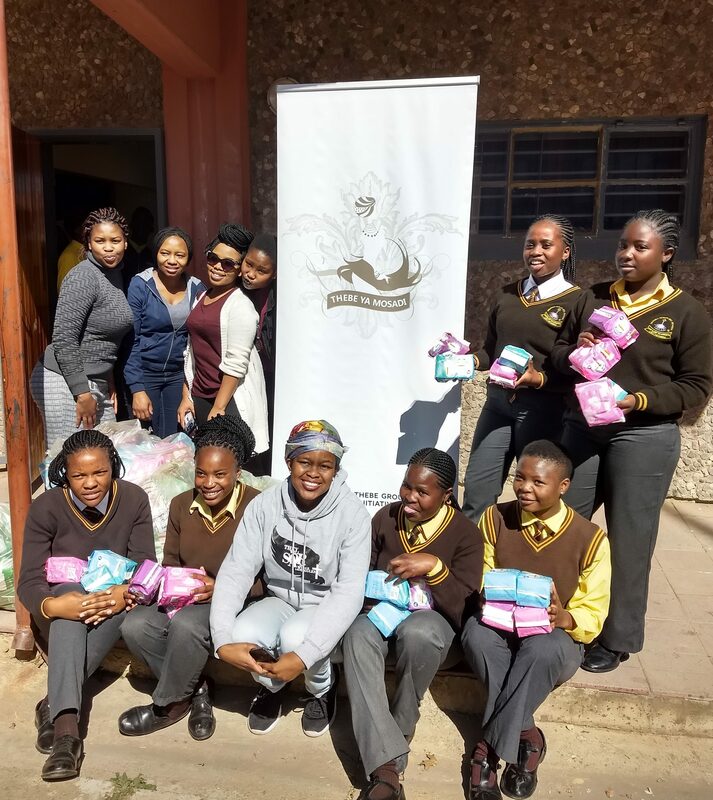 August 6th 2018 saw Thebe Ya Mosadi begin the journey towards the annual Women’s Day event by delivering sanitary towels to the learners at Diepdale Secondary School in Soweto, Johannesburg. 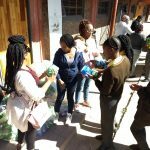 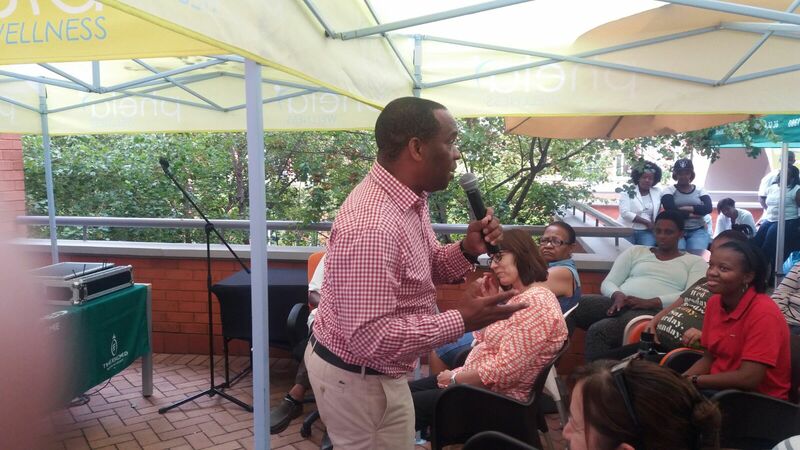 Thebe Ya Mosadi delivered sanitary towels that had been collected through the generosity of the Thebe employees over the last twelve months. 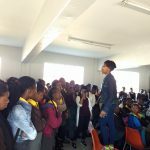 Delta The Leo; a musician, world title holding dancer and choreographer and representative of Midcomp Giving was also in attendance and she too shared some pearls of wisdom with the young ladies. 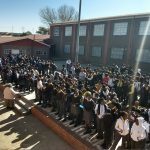 She reminded the young ladies that the world is their oyster and that the choices they make today will have an inevitable impact on their futures. 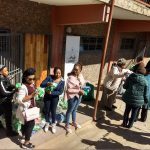 Delta then went on to do a few exercises with the ladies as well as a dance challenge as they awaited the much anticipated delivery of the day. 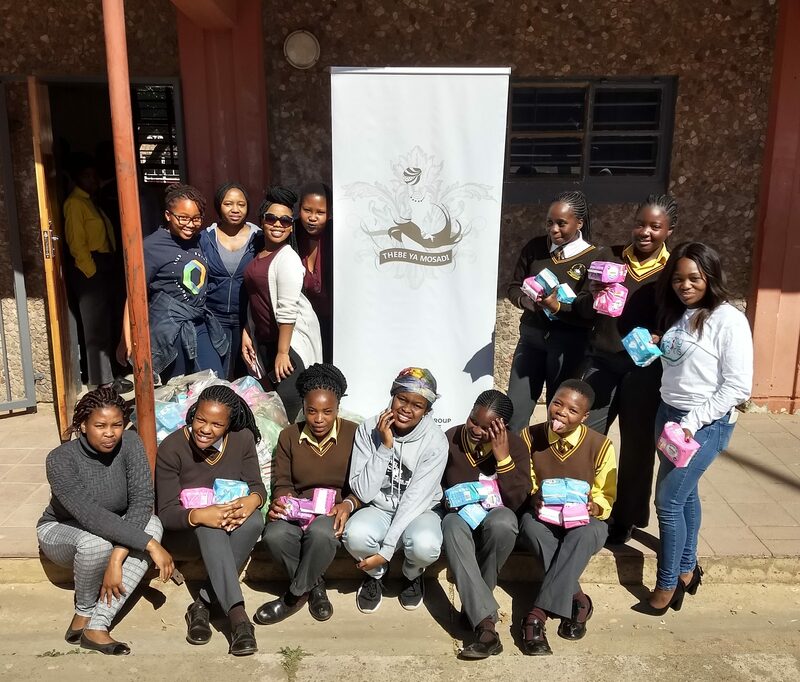 The Caring4Girls representative reiterated the importance of each girl attending school and not missing it due to a lack of feminine hygiene products. 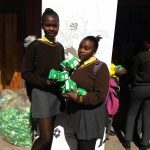 Each girl was provided with four months’ worth of sanitary towels thus reinforcing the ideal that no girl child should miss school due to their menstrual cycle and thus working towards demystifying menstruation. 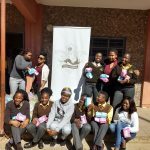 Thebe Ya Mosadi continuously aims to empower the girl child and remind her that she as the power to become anything that she sets her mind to. 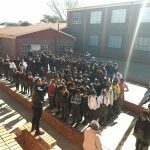 She is Power!